The idea that there is a "Deep State," within the United States of America has been a discussion among conspiracy theorists for decades. In the past many people believed it was real, while others laughed it off as nothing more than a "conspiracy." Today, many are acknowledging the presence of a hidden governance that is directing the laws that are enacted, along with the use of propaganda through the mainstream media and other areas of influence, that are stripping away all the rights of the American people. 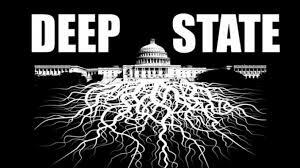 The most basic way to describe the Deep State is to say that there are people who are not part of the American election system who have infiltrated every aspect of the United States government. These same people dictate which laws to introduce that will add more government control over the people. I personally believe that they also dictate who will run for particular offices. With the 2016 presidential election, Hillary Clinton was their choice because she is among those who sit in public offices who will do their bidding. When President Trump won the election his win threw a wrench into their plans to control our nation by to turning it into a socialistic society. 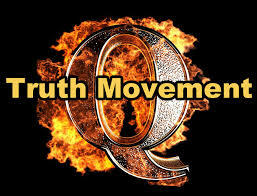 Their ultimate goal is to incorporate a globalist agenda that is the New World Order. Several former presidents, including Bush and Obama publicly spoke of this New world Order. It is not a conspiracy at all, but a fact. Even religious organizations, our educational system, along with the mainstream media involve aspects of the Deep State that enable these invaders to easily dictate the direction in which our nation is taken as a whole. Consider all of the laws that the democrat party are fighting hard to enact. Socialistic healthcare, late term abortion and gun confiscation. These are all traits of a government pushing to gain more and more control over the people. Just last week, democrats announced a bill will make it a felony if any person within your family uses a gun that is registered in your name, to defend against home intruders. They are attempting to strip away the right for your family members to defend themselves with a gun if an intruder breaks into your home for the simple reason that the gun is not registered in their name. 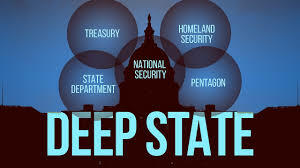 The Deep State is often referred to as a "Shadow Government," because those involved work behind the scenes as they control elected officials and dictate what is taught in our public schools. They have no regard or respect for the freedoms the American people stand upon. Nor do they care about the will of the American people. They thrive on the idea that we think we have rights, based on the US constitution, while they pull the strings behind the scenes that literally eat away at all of our rights. The Shadow Government uses the mainstream media to influence the national and international news that we hear each day. Stories are reported to sway the ideas of what the viewers find to be acceptable and unacceptable. There is a lot of information about the use of propaganda within the United States. With a simple Google search, pages and pages of information on this subject can be easily found. It is no secret that the national influence of the mainstream media is a powerful tool that actually works. It is a form of manipulation that steers people in any particular direction a given government wishes to take that nation. In 2012, Barack Obama had the anti-propaganda laws changed so that the mainstream media could report in a way that would sway large numbers of people to believe half truths or even flat out lies. The Deep State utilizes the mainstream media as a ploy that communist nations are known to have used throughout history to incorporate standards within nations that people normally wouldn't accept. Public education is also used to instill anti-American ideas into the minds of America's young people, leaving kids ignorant to the very things that unite our nation. In order for there to be bonds of unity within any nation, certain elements that unite the people must be present. Understanding the actual history of our nation is one of those elements. A common language is another unifying element. The United States of America is made up of citizens who come from all around the world in order to live the American dream. The official language has always been English. How could there be any unity if there wasn't a common language? Citizens of any nation would be divided completely if there were four or five languages spoken. Today most of the United States public schools teach that the flag is offensive, and many have stopped reciting the "Pledge of Allegiance," stating that it is unfair to non-citizens who are attending our public schools. In essence, they have robbed American citizens of the rights that were set in place by our forefathers, along with pride and a respectful understanding for our nation. 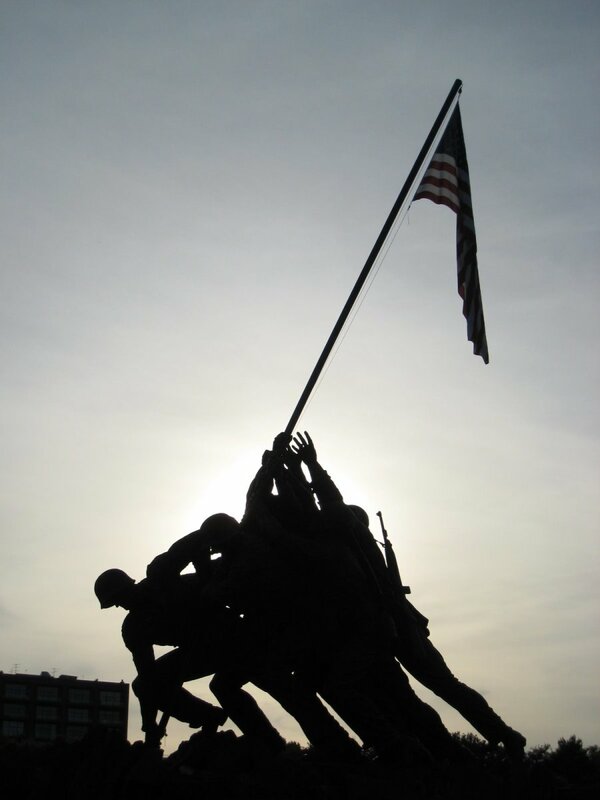 They do not teach the incredibly high price our forefathers paid through wars, and human lives that have given us the greatest nation on earth. The Deep State knows that the easiest way to conquer the nation, is through division. They are working hard to drive wedges between American citizens on every front, including racial and economic divisions. It has always been expected that those who become legal citizens of the USA assimilate and become part of the American culture. This is what produces unity. 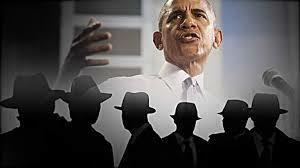 Religious organizations are also incorporated into the Shadow Government's span of influence. Many churches are teaching that all religions on earth follow the same God. The Bible clearly demonstrates over and over again that there is just one God, and many false gods. When the Hebrew people were led out of Egypt and into the Promised Land, God instructed them not to even learn of the gods of the people who lived in the nations that surrounded Israel. The Islamic state is a live example of how the Deep State operates. Syria is an excellent example of this. The Islamic State, or (IS) secretly works along side the established Syrian government. The goal of the (IS) is to overthrow the ruling government and install the Islamic State into a nation. The Islamic State even has a hierarchy set in place that directs every move, including the brutalization of the people of Syria. Christians within Syria have suffered greatly with the (IS) infiltration. However, even Muslims who follow Islam within Syria are placed within highly religious legalistic standards. Many have been brutalized, beheaded, and tortured under the (IS) rule. The Islamic State is said to be so brutal and so violent, that other extremest organizations, such as (Hamas) want nothing to do with it. On a side note, President Trump has obliterated the Islamic State within Syria. However, the group has millions of people who adhere to their brutal standards. They tend to reemerge consistently. This is the reason so many do not want the United States to remove our military presence. With the political crisis we are currently experiencing within the United States, I believe our military needs to be brought back home. With ISIS under control, it is time for the Syrian government to take measures on their own to maintain authority over the Islamic State within their own nation. For the first time in USA history, we have an ex-President who left office, only to take a roll in fighting and opposing the next duly elected President. Here are some known facts that anyone can easily look into. Former President Barack Obama moved out of the white house and into a home in Washington DC, where it is believed he is running the shadow government. He is directly tied to a group called, "Organizing for Action, (OFA.)" The goal of (OFA) is to "resist," everything President Donald J. Trump works to restore, or set into place in our nation. 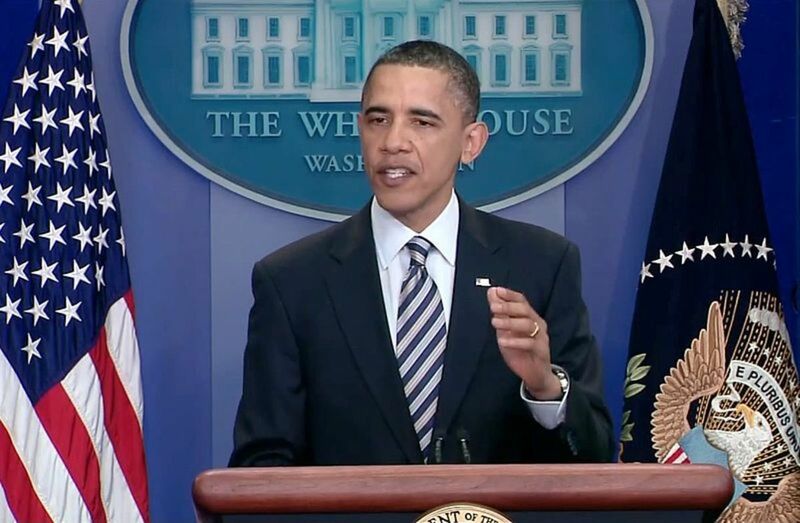 On the "Organizing for Action" homepage, there is a photo of Obama. The exact same photo is ex President Barack Obama's twitter header. The reason I draw this correlation, is because there are many similarities to the Islamic state, and the USA Shadow Government. 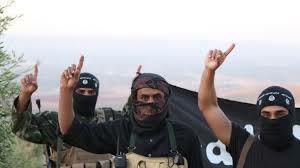 The Islamic State's goal is to control every nation forcing all people to submit to their false god. The Islamic State believes that socialism, or as they call it, (Islamic socialism,) is a standard set in place by their prophet. Over the past 8 years, we have watched western nations become infiltrated with Islamic "refugees." As a result, many within those western nations have suffered abuse, murder and sexual assault of women and small children. The western nations involved with this Islamic infiltration make constant excuses about how these invaders did not know better because these forms of abuse are part of their culture. I personally believe that the Deep State is directly connected to the Islamic State as the Muslim brotherhood were actual advisers to Barack Obama during his time in office. The Muslim brotherhood supports the Islamic state. The ultimate goal is to take down nations from within their own governments. Hilary Clinton was supposed to win in 2016, so the Deep State plans for the USA could easily move forward. Her loss has literally exposed the dark secrets hidden within the United States government. However, it doesn't end there. The world's most wealthy families are pulling the strings, not only in the USA but around the world. 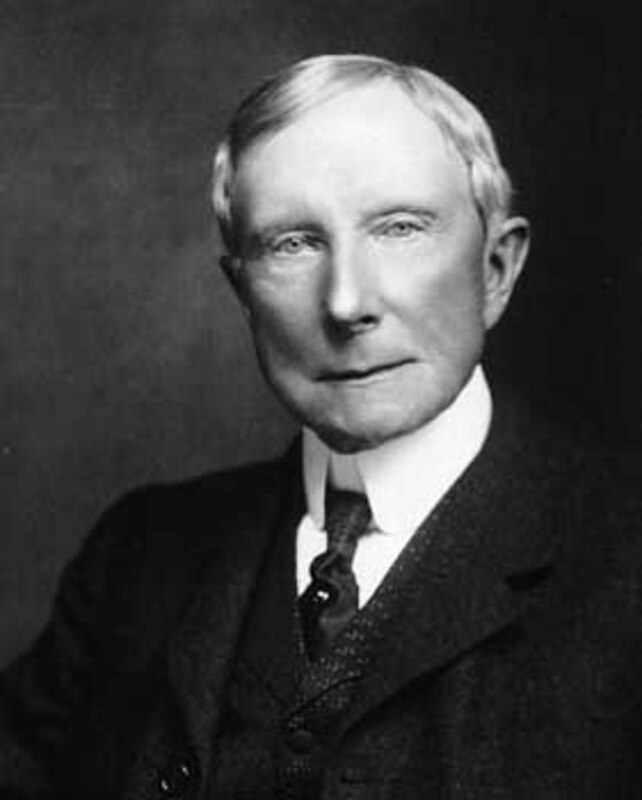 From George Soros to the Rockefellers, along with many others, these very evil and very wealthy people have gained control over every nation on earth. They are playing a giant game of chess. The world is their game board. The leaders of the nations are their game pieces. On a wide scale, we are seeing the entire democrat party, along with certain republicans who are part of the "resistance." Twenty years ago, no American would have even thought we'd be seeing what we are witnessing today. Laws are being put into place that work against American Citizens. The democrats and RINOS, refuse to put the security of the American people first by installing a border wall, and we all know that walls do work. If they didn't we could tear down prison walls. The Deep State is pushing nothing but anti-Trump propaganda, using the mainstream media and Hollywood to influence the simple minded who do not know that they are being manipulated. These evil politicians care so little about their voters that they don't even believe their voters are worth being told the truth. President Trump is in a battle against the Deep State. We are all in a battle between good and evil. If there has ever been a time in history where the biblical signs of the end of the world were present, this is it. It is time to pick your side. 6 weeks ago from Nelson Bay NSW Australia. So glad to hear you have begun reading ichthys, you won't be sorry I promise you. His work is so extensive, you won't cover it it a day or two, there is months of reading that will give you so much understanding - and his work is yet unfinished - and this I can say with certainty, you won't find a better online ministry anywhere. I wish I could convince you of the US being Mystery Babylon but I cannot force mine and others views upon you - I can only suggest, and if you have another look at Revelation 17 & 18, which is describing Mystery Babylon, I hope that you will eventually see it too. I also agree with your sentence that says: After Jesus rose from the dead, it all became spiritual but I can't see how 1st Corinthians 15: 46, or the entire chapter refers to Mystery Babylon in a spiritual way. I'm sure if you look into it long enough, you will agree it is the US. In relation to that chapter I believe Paul is speaking of 'what we were by nature, and what we are by grace' which he speaks of in Ephesians 2. I read the article you mentioned at the close of your comment and I agree with much of it, particularly how you say there is a clear difference between the doctrines of men in today's churches - so much so that there is a clear line of division between all of them and that is why I will have nothing to do with ANY man made religion and I made that quite clear in my article on Matthew 7: 13 & 14, the strait gate verses. And what I have written about in that article is a faith, not a religion. I sincerely hope you will continue to read ichthys. It's crazy seeing the direction in which the USA and other nations are going. I love the link you shared with me during our last conversation, and I'm still reading through much of it. I still stand by the belief that Babylon is a spiritual system and not one particular nation. Although I do see the natural part our former President has in it. The first Babylon was natural, the second will be spiritual. The same chapter goes into more on this subject. The natural portions of EVERYTHING, took place in the OT. After Jesus rose from the dead, it all became spiritual. The entire chapter of 1 Cor 15 goes into this. If you also consider Revelation 11:8, it states one of those spiritual principles. Do you see how it says, says, "where also our Lord was crucified?" We know that it happened in Jerusalem. The verse says, "which spiritually is called Sodom and Egypt." It is a natural example of a spiritual situation. I appreciate your input, and again, thank you for the links and information that you've shared. If you have time, Check out the article I wrote on the Natural and Carnal Man. It goes into this a bit as well. Truly a shocking indictment of your country and I believe that my own country, Australia, as well as many others are following, or perhaps more accurately - are being led down these same paths that you have mentioned, though not realised as yet by many here as well. I'm sure you are aware that so many believe the US is Mystery Babylon - so easy for me to say and know that but I'm sure it is painful for you. Just remember Revelation 18: 4 is showing the small window of opportunity and all those who belong to Him will receive the warning and He will help them one way or another. Remember too the scripture that tells us Damascus will be reduced to ruins - Isaiah 17: 1, Behold Damascus will cease to be a city and reduced to ruins. I believe that day is not far off and will be the trigger to far worse - so like yourself there are many who are aware and are closely watching world events to know what is tying in with scripture. Yet so many are blind to what is unfolding around them, just thinking that this is the world today and give it no further thought - it is those who we must try to help in whatever way we can, if we can. I don't know if you are aware Betty, but scripture tells us Tribulation begins in 2026, just 7 short years away and the events in this world at this point in time certainly point to it. Hosea 6: 2 says: After two days He will revive us: in the third day He will raise us up, and we shall live in His sight. Briefly, the two days is the 2,000 years since Jesus was killed, which includes Tribulation and He was 33 when He was killed, which brings us to the year 2033. So by deducting the 7 years of Tribulation we arrive at 2026 for the beginning of Tribulation. The third day is the 1,000 years of the millenium - which all points to Jesus returning AFTER Tribulation. There are other scripture that point to it, Matthew 24: 32 - 34 but Hosea is probably the most pertinent. There is too much to say on this subject but if you would like to know more I have written 8 articles about it should you like to visit them. I will also highly recommend ichthys.com - there is a wealth of information there and he does it far better than I can. Again Betty, I enjoyed reading it even though it hurts.